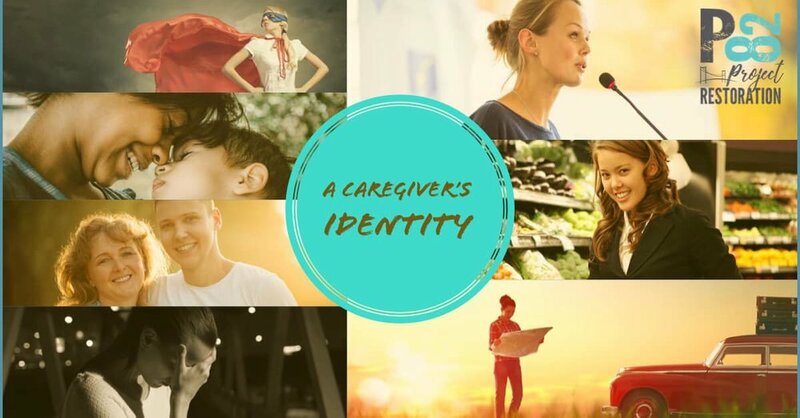 A Christian Caregiver's Identity — P82 Project Restoration, Inc. Recently, I deleted my personal Twitter account. It was no small decision and the cause for a good degree of consternation. I had 900+ followers and I fought hard for each and every one of them. In the end, the increasing vitriol displayed in this powerful space day after day brought me to ultimately disconnect. But, it didn’t last long. I found that I couldn’t hold back from giving voice to the plight of the seriously mentally ill even here with Twitter’s limitations (or perhaps it’s just as basic as my lack of self control). At any rate, I went back and created a new account. I’m currently up to a whopping 8 followers now! Hooray for me. I’ll admit, it’s been a humbling experience. It’s also been revealing. I love advocacy, I’ll never stop speaking up. But it’s not ultimately who I am, it’s simply one of many things I’m privileged to do. This seeming insignificant decision in my life begged a deeper question however: Where am I finding my identity? During the past decade I’ve shifted into many roles as a Caregiver - from crisis coordinator to resource administrator, from guardian to grocery shopping assistant, from holding on for dear life to letting go, from mom to non-profit president, from biting my tongue (yes, there were a few times…) to advocating politically. Yet, it took a little Twitter disconnect to realize I needed to remind myself of the most important reality in my life: who I truly am in Christ. Our culture is bombarding us daily with images of strong, powerful, and successful people. If we are not careful as Christians, this can gnaw away at our identity. Add to this the battle raging within our own hearts and it’s easy to see how we can lose ourselves along the way. Here’s the good news though, even when I lose sight of who I am, God never loses sight of me. We all struggle with a good degree of identity theft, but for the Caregiver of someone battling a serious mental illness (or any other disability or sickness, for that matter) the lines are blurred significantly. The very nature of the illnesses themselves, coupled with the chaos of a broken mental health system, demand a lot from us, to say the least! So what’s the remedy for a Christian caregiver like me? I think it’s as simple as taking some time to remember who I am in Christ and taking some time to interact with my Savior about how these truths translate into my daily life, even on social media. 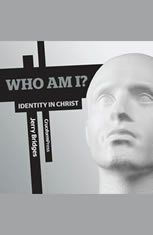 Jerry Bridge’s book, “Who Am I” is easy to read and can be used as a short devotional each day. There are only 8 chapters so you can finish in just over a week. Resist the temptation to dismiss the subject matter as old, familiar truths. We all forget, someone even said, “we leak.” What could be better than filling ourselves up with the rich truths about our identity in Christ! So drink up weary Caregiver! Our church is beginning a new sermon series on this very subject. You can view them online here soon. I’m looking forward to percolating over this topic. I’ve already begun remembering using Jerry Bridge’s book above and a renewed sense of peace and hope are springing up in my heart. I pray that for you as well. If you are not a believer and you’re wondering what all of this talk of identity in Christ is about, check out a previous post here that explains the good news of the gospel. Whether you check it out or not, thank you for reading and supporting the work of helping families and individuals struggling against serious mental illness.